A woman accused of being a kidnapper met her Waterloo after an alleged failed operation in Ibadan, Oyo state capital. 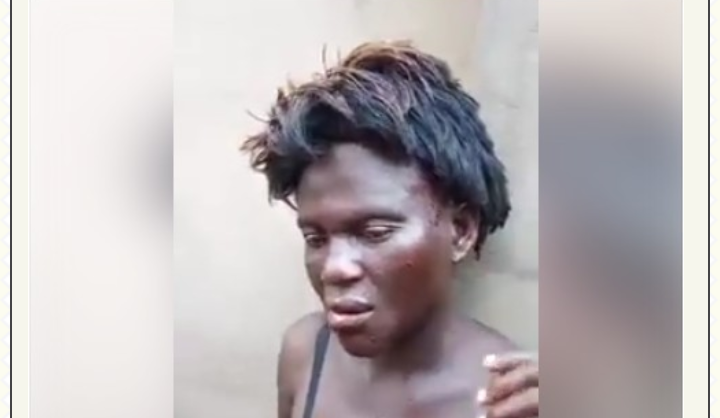 According to a trending video footage posted online, the woman confessed to being a kidnapper after she was nabbed by residents and interrogated in Yoruba language. Many clothes and other materials of her supposed victims were discovered in a bag she was carrying. She was stripped off her clothes, beaten and disgraced by the mob who left her injured before handing her over to police operatives in the area.